Brands Including Nike, Callaway, Titleist, Under Armour, Wilson, Footjoy and More! 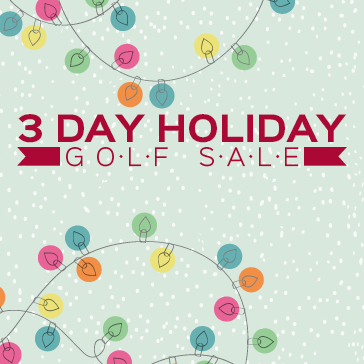 One free green fee certificate per person for duration of the sale. Gift Card purchases do not qualify toward minimum purchase. Free green fee to be used 11/16/15 – 4/30/16. Cart fee required when redeemed.